Dealing with hazardous and harmful materials during asphalt construction and paving projects is common, but it should never be taken lightly. There is major potential for injury and harm to you, your workers, and the environment if hazmat materials are not handled or disposed of properly. That’s why Cactus Transport by Cactus Asphalt in Phoenix, AZ, formed a separate subsidiary dedicated to safe and efficient hazmat transportation. In an industry that produces and uses materials with sensitive handling requirements, our subsidiary CT Logistics LLC stands out for their dedication to following rigorous safety procedures and protocols. 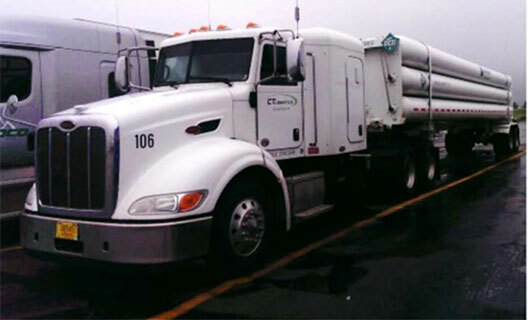 CT Logistics LLC is backed by Cactus Transport’s 30 years of experience in the asphalt transportation industry. 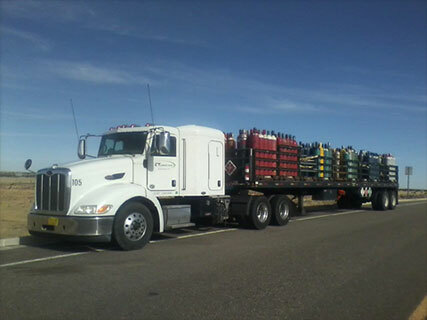 Choose Cactus Transport to handle your worksite equipment and material needs and CT Logistics LLC to handle anything related to hazmat transportation during a job. Call for more information. Working with asphalt will likely put you in contact with hazardous materials. CT Logistics LLC specializes in handling unsafe materials in order to give you peace of mind during an asphalt job. We specialize in compressed gases, including but not limited to hydrogen, helium, nitrogen, oxygen, LP gases, sodium hypochlorite, and liquid asphalt petroleum products. We also handle materials that have high temperature requirements, like some asphalt petroleum products that present danger when used and transported. WHY USE CT LOGISTICS LLC? CT Logistics LLC is backed by Cactus Asphalt, a company with decades as an industry leader in asphalt material and equipment transportation. We’ve used our combined experience both in the asphalt construction business and transport business to develop a deep understanding of dealing with hazardous materials on the job. When you use Cactus Transport and CT Logistics LLC, you get peace of mind knowing every aspect of the job, from delivering raw materials to handling hazardous byproducts, is handled with industry-leading expertise. We can take care of hazmat transportation to and from your worksite as well as handle oversight when you and your team are handling these materials to mitigate risk before, during, and after use. In addition, we maintain an excellent safety rating by selecting our team members based on past performance, CSA scores, and extensive experience. Cactus Transport and CT Logistics LLC work together as an innovative team to transport your hazmat materials in the safest manner possible. Please speak to one our staff members for rates and availability. We look forward to providing you the best service in Phoenix, AZ, and the Southwest. Call us today at (602) 616-5088 to get started!